I grew up in Newark / Fremont, CA, and graduated from Washington Union High School (1964), attended Foothill College, before transferring to San Jose State. I was a fifth-year senior, and received my “draft notice” to report to Oakland, CA on February 12, 1969. My basic traning and AIT infantry training was at Ft. Lewis, WA. I then attended, but did not complete, NCOC training at Ft. Benning, GA. 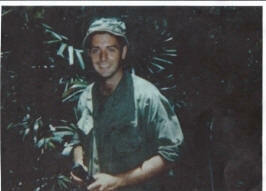 I received orders for Vietnam and departed on September 14, 1969 from McCord Air Force Base (Seattle). After very “quiet” stops in Alaska and Japan, our plane landed in Cam Ran Bay. I was assigned to the 101st and sent to Bien Hoa for in-country training. Then it was off to Camp Evans (Phu Bai) and was assigned to the First Platoon, A2/506th. I had the honor and privilege of serving under some outstanding platoon leaders (Tim Joliet, Jeff Wilcox, and William Pahissa) and platoon sergeants (Orville Koger, Donald Graf, and Gerald Singleton). I also had the opportunity to experience a very special “bond” and establish friendships with James “Tiny” Aanonsen, Tommy Lowell Webster (fellow RTO), Frank Marshall, Danny Joe Fries (our medic), Robert Lowe, Don Severson, John Kreckel, Al Booty, and so many others. I will never forget our experience on and in support of Fire Base Ripcord in 1970. I remember going on a patrol the morning of July 22, 1970 to recon the area for what we hoped was for potential extraction. Shortly after returning to our company perimeter, I remember in-coming motar rounds striking our position with deadly accuracy, as we were surrounded by the enemy. About a half-hour into the brutal fighting, I received gunshot wounds to the left leg and buttocks, which crushed my sciatic nerve. I will be forever grateful to John Kreckel for tending to me and providing me with words of encouragement. I remember being carried to “higher terrain” close to sundown, and where we remained overnight. Our “A” Co. lost 14 men and some 56 others were wounded. My thanks to Delta Company for coming to our rescue on July 23. I remember getting out on the second medivac chopper, and flying to Camp Evans (while Ripcord was being attacked), and then to Da Nang for surgery. 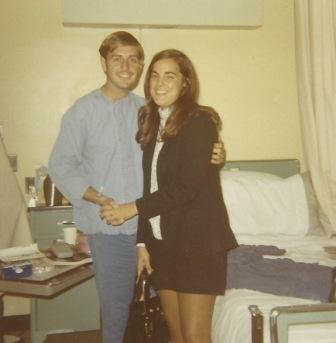 I was then flown to Japan , then to Travis Air Force Base (CA), and then transported to Letterman Hospital (San Francisco) for recovery and rehabilitation. I finally graduated from San Jose State University (BS Degree in Recreation and Leisure Studies). I married Ricki Rae Nelsen on September 12, 1971, and we recently celebrated our 40th wedding anniversary (we live in Newark, CA). I retired from the City of Newark Recreation Department in 2004, after serving 38+ years in public service. I now coach girl’s high school basketball and softball in our community. Our son, Christopher (born July 23, 1981) is married (Nicole), and lives in San Francisco. He is the Executive Editor of RealGM.com. 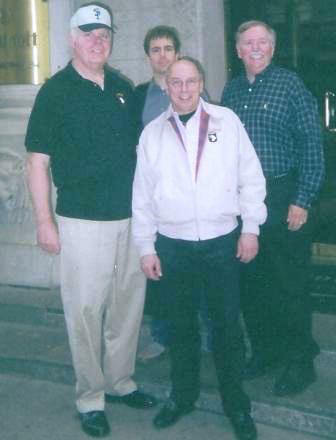 Christopher and I have had the opportunity to reunite and visit with “Tiny” and Frank in New York City (2006) and with Webster and his family in Atlanta (2007). 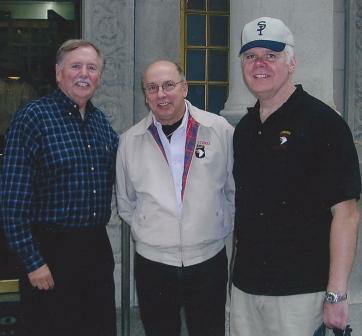 We also attended our first Ripcord Reunion in Indianapolis (October, 2011). We had a great time! Special thanks to Lee, Frank, and the planning committee for organizing such a wonderful, emotional, and meaningful event.